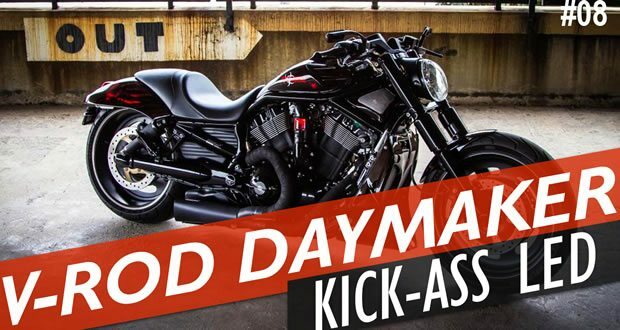 Wondering how to install a Daymaker-style LED headlight on your Harley-Davidson V-Rod? 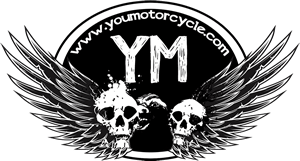 Or maybe you just want to know how to upgrade your V-Rod lighting or upgrade your Night Rod headlight in general? I was. It’s pretty easy on a Harley-Davidson VRSCD Night Rod or VRSCDX Night Rod Special, but then you end up with a round, 5.75″ headlight, and that’s pretty boring. So I found the best V-Rod oval-shaped wannabe Daymaker headlight out there and made a little install video. This video will also show you how to switch from a round V-Rod headlight to the oval one. Upgrade from the traditional 5.75″ headlight on my Night Rod to the oval V-Rod headlight. Upgrade to LED styling (Daymaker knock-off) for much better lighting. When I first got quoted for this from my local Harley-Davidson dealership, it was around $600, and I was only going to get the V-Rod’s factory oval light with H9 and H11 bulbs. That would be better than my 5.75″ housing bulb, but still not good enough. but you don’t want those parts to switch your headlight! Instead, for 1/3 of the price, you can buy these three parts only. They come with everything you need (hardware and hex key included). We’re looking to share the stories of men and women riding motorcycles all over the world. We want to hear and see where you’re riding, and answer all of your questions. Let’s make a big world a whole lot smaller, one ride at a time. Click here to send us your story or ask us your question. Previous: You Guys Are The Best, Thank You! Thank you for sharing! I was wondering about this myself pretty recently.